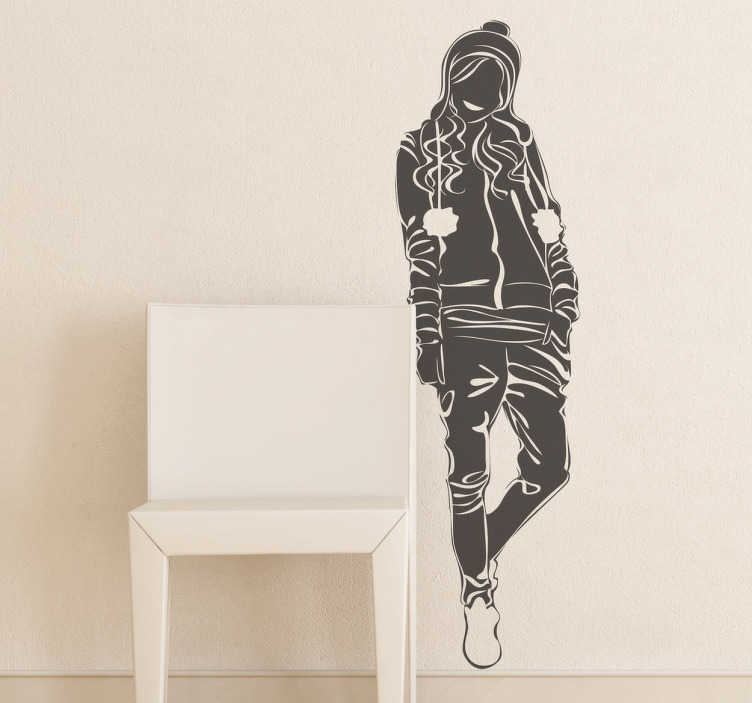 Wall Stickers - Original silhouette outline of a young female dressed in casual wear with long hair. Available in various sizes and in 50 colours. Made from high quality vinyl, easy to apply and remove.